Most homeowners in Providence, CO fail to include dryer vent cleaning on their list of yearly maintenance service calls. The cost of a dryer vent cleaning can pay for itself in as little as 3-6 months in energy savings alone. 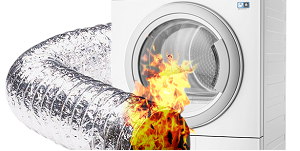 Just because your dryer seems to be working fine is definitely not a good reason to put off having it cleaned.